Artisan chocolate from Sicily, woohoo! Nope, I haven't been to Sicily myself. I actually found this bar in New York City. (Specifically, I found it at Barzini -- a very cool Upper West Side food market. No web site, but here is their Yelp listing.) The deciding factor on getting it was that it was a bergamot flavored bar. I've never seen that before. Interestingly enough, it seems there are actually two kinds of bergamot. There's a citrus fruit version, which is a type of bitter orange. Then there is also an herbal version that is a member of the mint family. The two are not related. I have no idea which version is used here. There is only minimal information on the package. And while the company has a website, it is completely in Italian -- even the Google-translated version was not very helpful. Maybe once we taste it we'll know. I liked the plain "peasant" look to the packaging. It's just brown packing paper and green twine. Nothing fancy, no graphics, only a simple tag. It gave the bar an Old World air. I'd like to say it must be like something my great-grandmother might have eaten back in the old country...but trust me, you DO NOT want to hear about the things my Nana ate (and loved). The bar has a rough, sort of bloomed look to it. 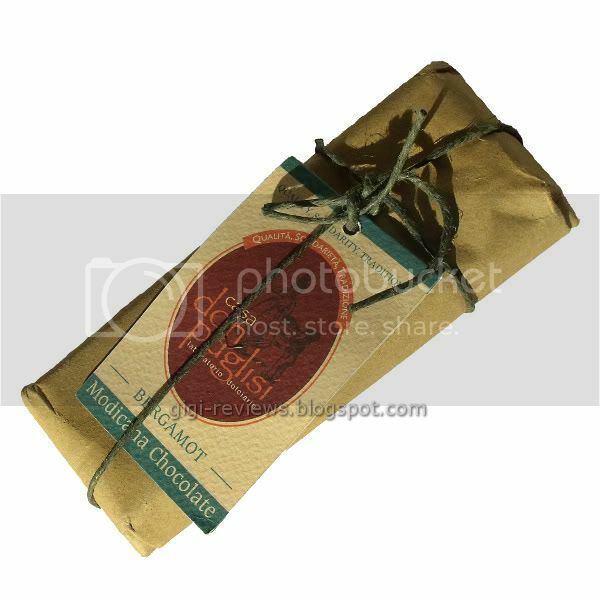 Actually, it doesn't look like a chocolate bar so much as an old, weathered brick. But this is the result of the manufacturing method. 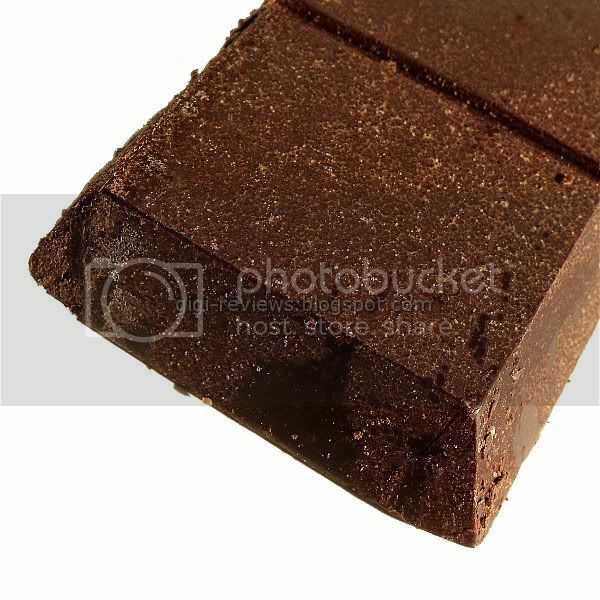 The chocolate is cold-pressed, and the sugar that it is sweetened with is added by pressing it into the chocolate rather than by being melted and mixed in. It is very, very basic: the only ingredients listed are cane sugar, cocoa paste, and bergamot. The bar can be eaten as is, or made into a drinking chocolate. And solely because I am a giver, I am going to try it both ways. Let it never be said that I won't go the extra mile for my readers. This really does taste as I imagine homemade chocolate (i.e., without tempering) would. That's not to say I don't like the taste. It tastes very dark, even though it is only a 45% cocoa chocolate. I think it's because it is so minimally processed that it seems more intense than something made by more modern methods. The chocolate has a grassy taste to it -- is that perhaps the bergamot? If it's not, then I couldn't taste the bergamot at all...and I guess as a bergamot bar, that would make it an epic fail. 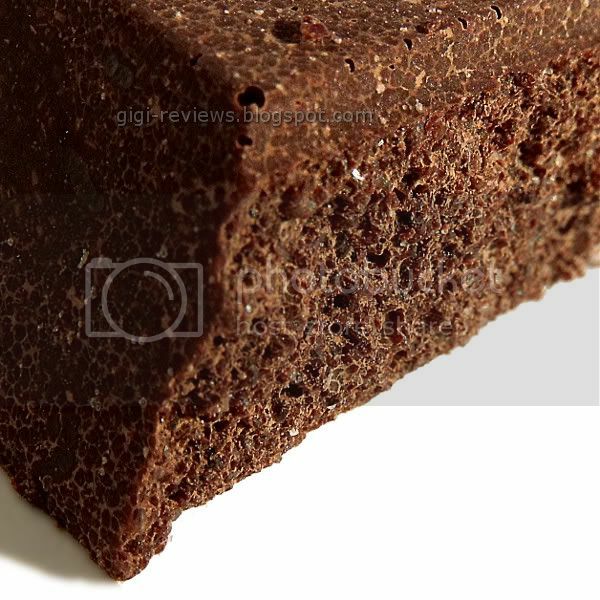 The sugar that is pressed into the chocolate (rather than melted in) is present in large grains, and it keeps the chocolate from being too bitter. There is no dairy quality to the bar at all -- not surprising, as it apparently doesn't contain any. The texture is really the interesting part of the bar. It's crumbly and dry, without much of a melt. It's also crunchy -- from the sugar, as best I can tell. It's good for a few bites, but after that it just starts to feel like you're eating chocolate grit. Definitely unexpected, but also kinda...I dunno, weird. And not in a really good way. 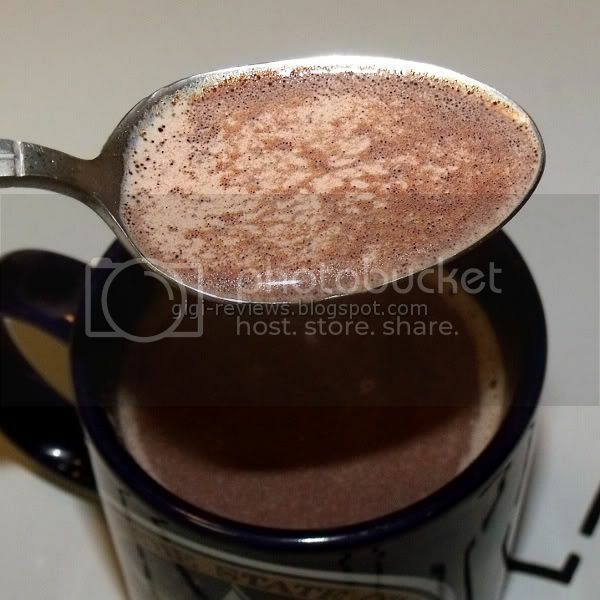 To make the drinking chocolate, you mix one square of the chocolate with one cup of hot water or milk, simmering and stirring until melted and well mixed. 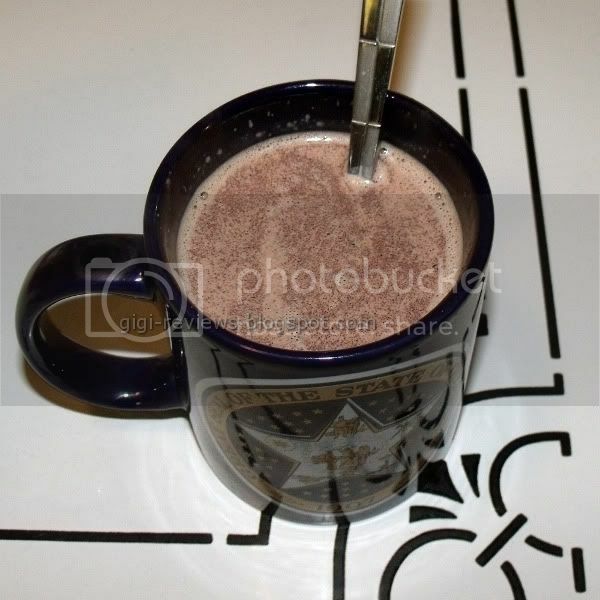 I made my cup with Lactaid brand whole milk, and I simmered it on the stove until the chocolate was dissolved. It doesn't take long, even on a very low flame. But you do have to stir constantly. 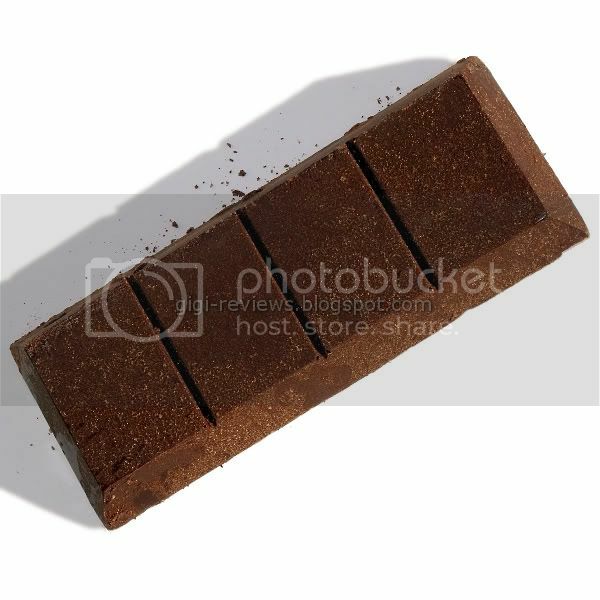 I much preferred this as a drinking chocolate than as a solid. It's still grassy, but it also picks up more of an earthy taste. It becomes much richer and sweeter as well -- that makes sense to me, because it has given the sugar and the chocolate a chance to melt together. But it still didn't wow me. (Possibly because it remains strangely gritty.) I know I am losing foodie cred here, but I still prefer Nestlé's Abuelita. Honestly, I love the idea of this chocolate. And it's true that this is a most unusual item. It no more resembles a typical mass market chocolate bar than a free-range bison burger grilled over an open campfire on the same Montana ranch where the bison was raised resembles a prefabricated burger from McDonald's. But I can't see going out of my way for this bar. Yeah, it tastes OK, though it's nothing outstanding. Plus, the texture is unpleasant, and I still have no idea where the bergamot was supposed to be. Nope, I won't be buying this again.